Orphanage - Shanti Leprahilfe Dortmund e.V. The bedrooms are swept each morning. 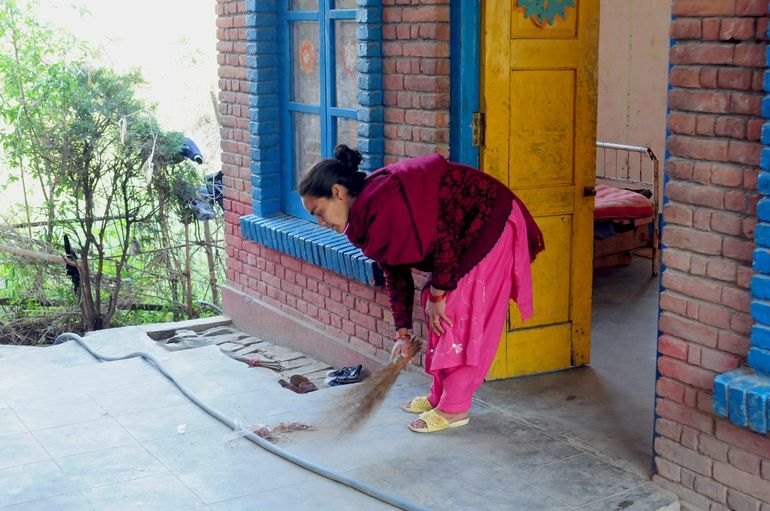 Cleanliness is an important value in all Shanti facilities. Every morning, the children clear their bed spaces and roll up the covers. Shanti in Budhanilkhanta offers a new home to children who no longer have parents. There are 40 children up to age 15 who live here and go to school. Adult Shanti residents help the teachers care for them. Addition residents in Kathmandu Tilganga include 20 orphaned college students who successfully completed the state school leaving certificate and are now pursuing a college education.